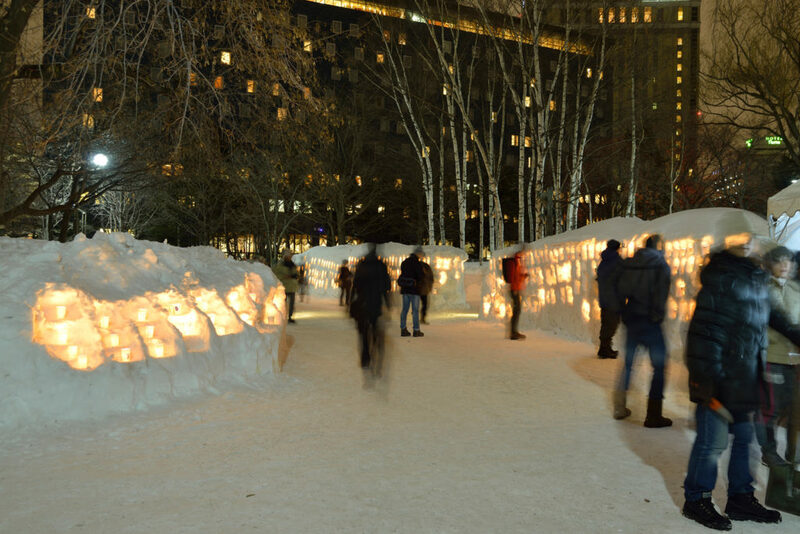 One of the year's must see events is right in the heart of Sapporo! 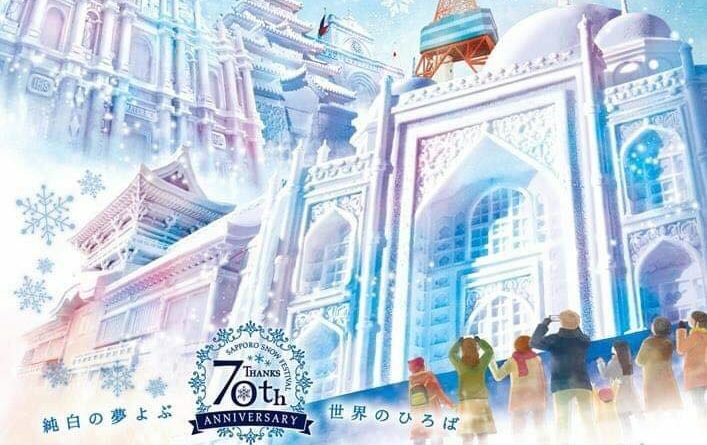 The Sapporo Snow Festival is underway and here is some information about each of the festival’s event areas. One of this year’s most popular sculptures. Also, here you can enjoy lives shows! Odori Park, stretching east to west over 1.5km through the heart of downtown Sapporo, will be transformed into a fantasy of snow and ice. 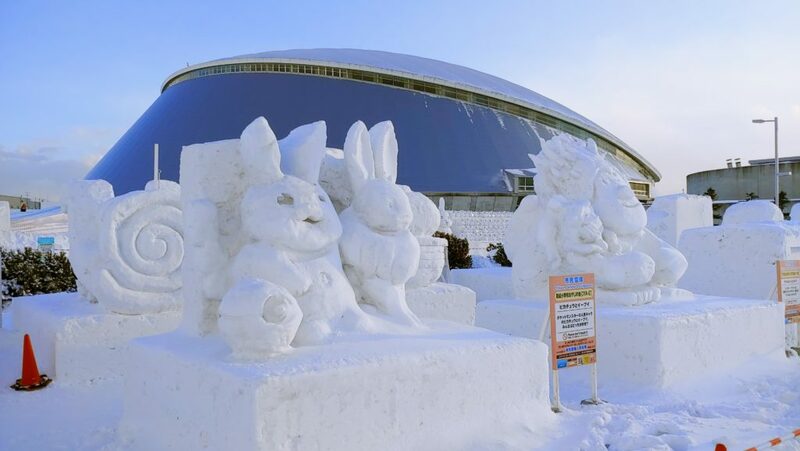 All the works of art, sculpted with pure white snow and sparkling clear ice, will certainly impart something of the artist’s passion to the guests viewing them. 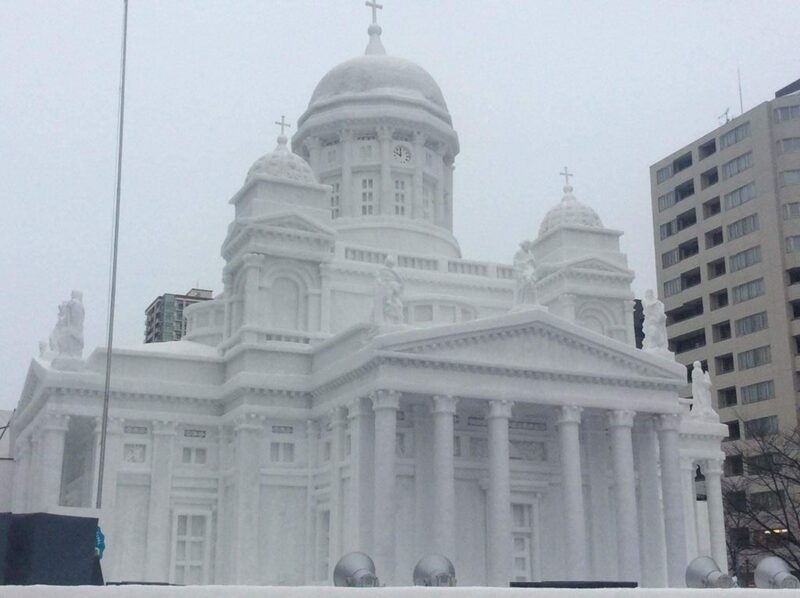 The exquisite state-of-art snow and ice sculptures of such scale are the biggest attraction of Sapporo Snow Festival. Seems like a waste!! Don’t worry. It’s eaten later! Members of the public and private sector help make these wonderful ice-sculptures. 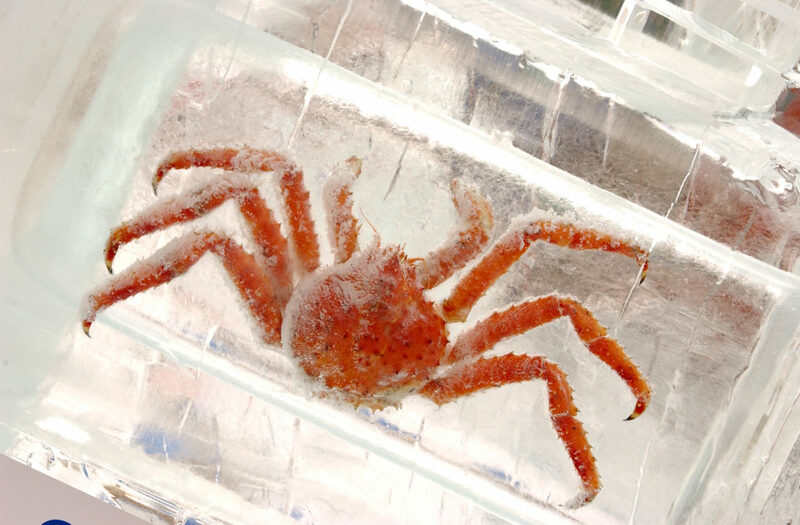 Under the theme of ‘Enjoy the Ice’, this site offers a fantastic ice sculpture show and the Ice Sculpture Contest. 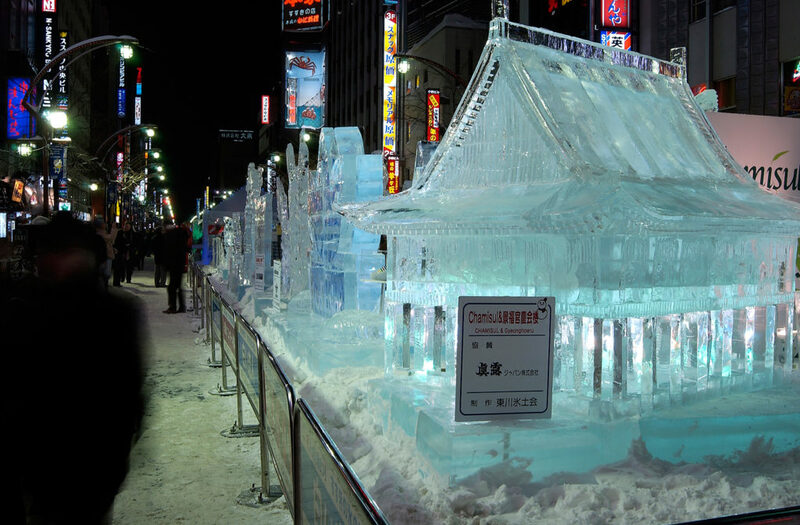 You can also visit the plaza, ‘Fureai Hiroba’ to touch or ride on the ice sculptures, take photos in the Illumination Street, or have hot drinks at the Ice Bar. The community dome, Tsudome is the second largest site of the Sapporo Snow Festival. 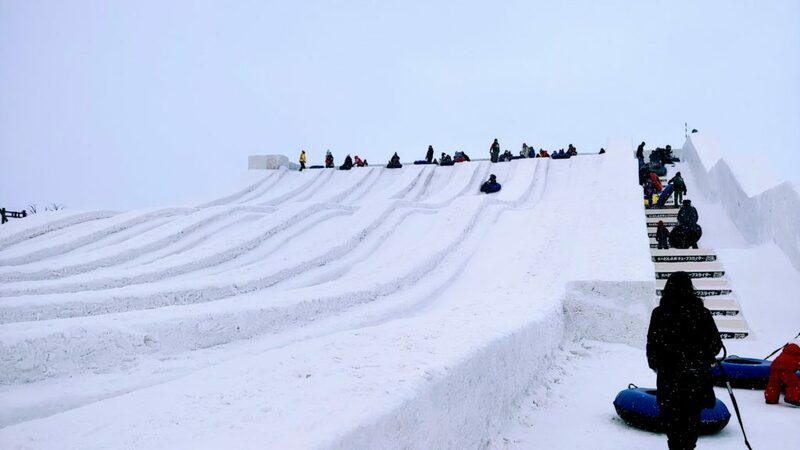 This site includes very large snow slides and a snow rafting area outside the dome where a person of any age can have a snow-ice experience. The local community also get involved with making the sculptures. Inside the dome, there are plenty of attractions for children and you can take a break or have refreshments in the spacious rest area. 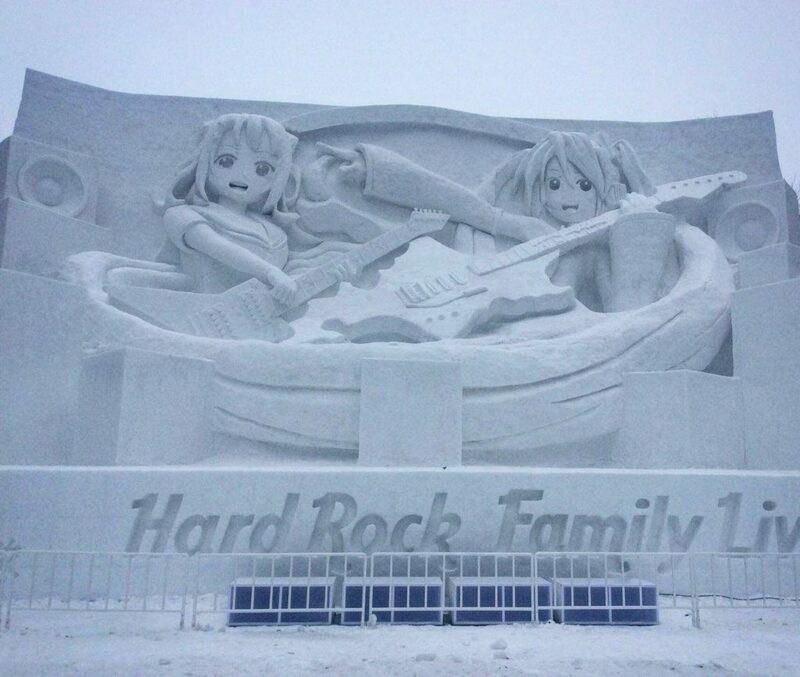 It’s a place where you can really enjoy the wonders of Hokkaido in winter. 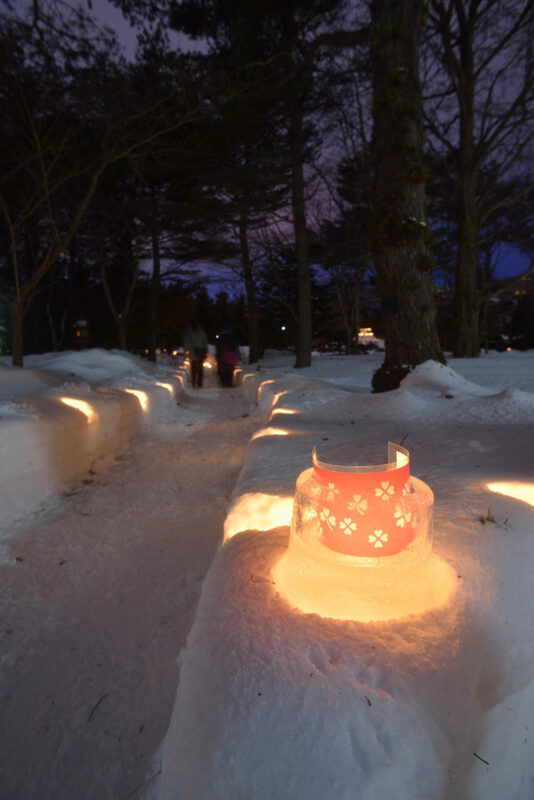 Thousands of snow candles at Nakajima park will be lit at 4:30 pm on Feb. 8 (Fri.). Lighting hours: 4:30 – 8 pm from Friday to Sunday. At the Children’s Puppet Theater “Koguma-za” hot drinks and a restroom are available from 10 am to 8 pm. (from 4:30 pm on Feb. 8). Write your wish on a paper-cup candle and display it on the snow wall. (4:30 – 7 pm). This story was made with contributions from the Sapporo government and What’s on in Sapporo. ← What will this years festival be like? !